Many people can be successful in their jobs and in many aspects of their life, and yet have something happening that is getting in the way of feeling good and being happy. Counseling can help. At Cornerstone, we help people of all ages and walks of life find a calm, safe place where they can talk things over, think things through, and get the support they need to make the changes they want to make. Elizabeth Wolf is a successful teacher in the Quincy Public School system. She loves her work with Special Ed kids and is really good at it. About a year and a half ago though she found herself struggling with a gambling addiction, which was part of a larger mood disorder. Because her issues were affecting her finances as well as her relationships, Elizabeth decided to take control, and get things turned around. “My advice would be to get help immediately. It does get better!! You just need to find the right supports. I always thought that I could handle my problems on my own, which resulted in me being miserable and not wanting to do everyday things. I have always been a relatively happy person. I love to make people smile. But when I was faced with many issues, I couldn’t even make myself happy. I would wake up and not know how my day was going to go, whether or not I was going to be able to control my mood and basically just live my life.” After trying a larger clinic that wasn’t working out, Elizabeth came to Cornerstone. Together they went to work on Elizabeth’s challenges, using a clinical best-practice championed in Quincy by Cornerstone years ago. Known as Client-Directed, Outcome-Informed, this approach empowers clients to determine treatment goals, and enables them and their counselor to monitor progress towards these goals at each session. This helps our clients achieve their own highest priority goals most efficiently. Sometimes talking to someone is just not enough though. Cornerstone’s Psychiatric Mental Health Nurse Practitioner, Reggie Westhoff, is on staff right down the hall, and provided further evaluation and medication management they all agreed would benefit Elizabeth. Medication is helping Elizabeth regulate her moods and stop her addiction. Collaboration between medical and counseling staff is smooth here at Cornerstone because of the boutique nature of our practice. Congratulations and thank you to Elizabeth for sharing her experience with others who may be wondering how to handle something that is getting in the way of living the life they want to live. 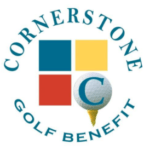 Call Cornerstone to see how we can support you.